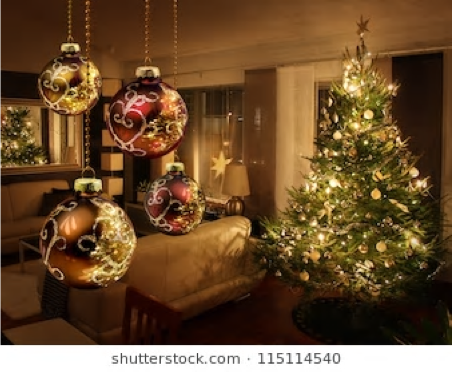 You can’t beat the joy of a real Christmas tree and the lovely fresh pine smell in your front room, with Christmas decorations from the past with great memories and new decorations for future family to enjoy. There are many different types of fresh Christmas tree to choose from, here is Lady Horticulturist’s guide to finding the perfect tree, whether you are buying from a garden centre or Christmas tree farm. Either you can choose a freshly cut one from a tree farm or one from a Garden Centre but bear in mind these trees have been cut weeks in advance and been netted for stacking. One more thing, size matters if you want to get it in the house. As I have seen quite a few times, folks have got the tree and not been able to get it in the house, so check before you buy. The first thing to do when you get your Christmas tree home is to unwrap from the netting, then cut a few centimetres off the bottom of the base like you do with cut flowers. Then, stand the Christmas tree in a bucket of water for couple of hours and introduce it to the house. 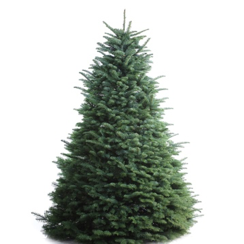 Do not position the tree near any form of heating as the tree will lose it needles very quickly! 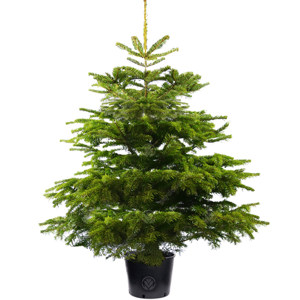 REMBER A CHRISTMAS TREE NEEDS TO BE WATERED to keep its freshness – approximately two pints a day!! You may choose to have a potted Christmas tree with the intention of planting it outside after Christmas. Over a period of two weeks, bring the potted tree in gradually by introducing it to a porch, then a conservatory and finally into the house. Do not place the tree near any central heating as it will not be able to cope with warm conditions and the needles will start to drop showing it is under stress. After Christmas, again, reintroduce back into the garden gradually as the shock of the cold could cause severe damage. 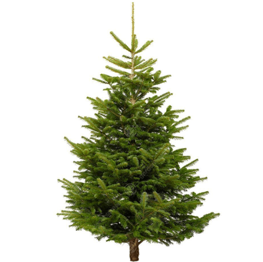 If you are looking for a traditional tree, the Norway Spruce may be for you, with its true Christmas smell. Leave it as late as possible before bringing into the house to keep it as fresh as possible. 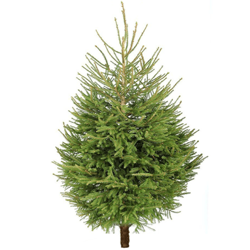 Another variety is the Nordmann Fir, a very classic shape great for decorating. 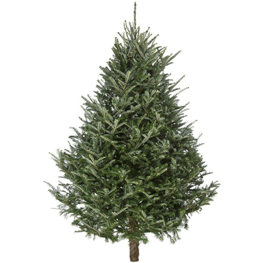 The Fraser Fir is not dissimilar in shape and doesn’t lose its needles so quickly. It is also great if you have a limited space as it has a narrower base. Noble Fir has a very attractive grey green needle that has a habit of tilting upwards with open branching so, is good for hanging heavier decorations. They are a lot more expensive though as it keeps is needles better. Merry Christmas everyone and Happy New Year to you all, best wishes from Lady Horticulturist.